Paint: Black and white scale pattern with a white belly. 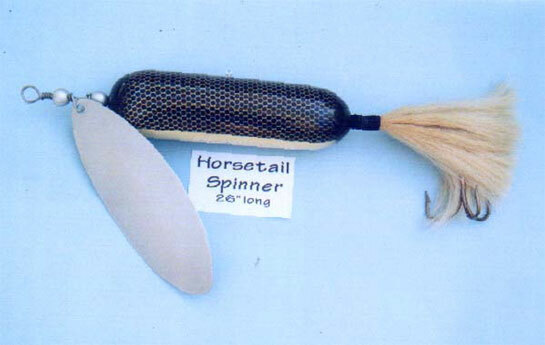 Features real horsehair and a large aluminum spinner. Body is 13" long (overall 26"). 6" long treble hook.